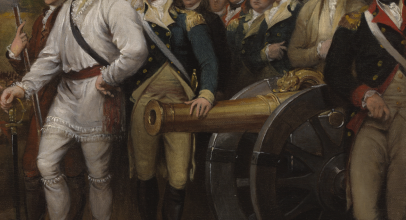 The enduring importance of the American Revolution is demonstrated by the rich array of materials from the Revolution on display in changing exhibitions at museums, libraries and other cultural institutions across the country. Seek them out. Smithsonian National Museum of American History – Washington, D.C. The American Revolution: A World War examines the story of the nation’s founding from a global perspective, beginning with the roots of the Revolution in the Seven Years’ War, when a complex interplay of global interests and actions existed between Britain, France, Spain and Holland. The exhibition centers on the Siege of Yorktown, showing how the American victory there depended on support from allied nations. 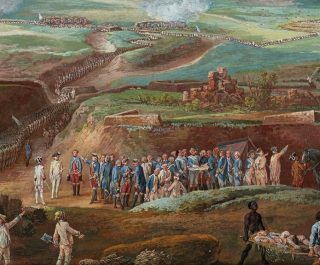 The final section of the show explores how relations between the United States and European nations evolved between the Revolution and 1824, when the marquis de Lafayette made a triumphal return to the United States to see how democracy was flourishing in the new country. John D. Rockefeller, Jr. Library, Colonial Williamsburg – Williamsburg, Va.
During the British invasion of Virginia in 1781, Lieutenant Colonel John Graves Simcoe led the Queen’s Rangers, a light cavalry unit of Americans loyal to the Crown, in engagements near Williamsburg and Yorktown. 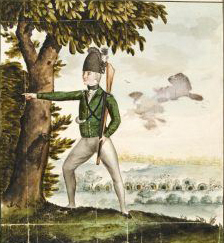 This exhibition explores Simcoe’s activities in the state through rare materials from the library’s collections, including manuscript maps of the battles, the marquis de Lafayette’s account of the action at Spencer’s Ordinary, watercolor drawings of soldiers in the Queen’s Rangers, and other documents and artifacts. Fort Pitt Museum – Pittsburgh, Pa.
Few objects from colonial America had such a personal connection to their owners as the powder horns used by soldiers, settlers and American Indians to store the gunpowder necessary for their survival. The smooth surface of the horn was also an ideal place for owners and artists to leave their mark, etching names, dates, maps and war records, as well as purely whimsical figures, into the objects. The carved powder horns in this exhibition illuminate the landscapes, wars and politics of early America and particularly its frontier residents. 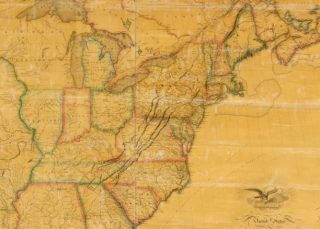 American Philosophical Society – Philadelphia, Pa.
Tracing the creation and use of maps from the mid-18th century through 1816, this exhibition investigates the way maps, as both artworks and practical tools, had political and social meaning. It features historical maps, surveying instruments, books, manuscripts and other objects to show how maps were used to create and extend the physical, political and ideological boundaries of the new nation and how different people used maps as political and ideological tools to express multiple, sometimes competing, visions of what the new United States would be. 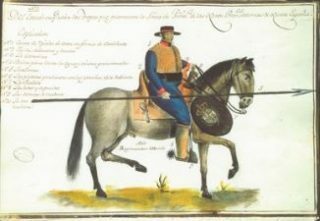 Highlights of the exhibition include a 1757 copy of the John Mitchell map of the British empire in North America, manuscript maps from the American Revolution and George Washington’s copy of the 1792 map of Washington, D.C.
Albuquerque Museum – Albuquerque, N.M.
As loyal citizens to the crown of Spain, residents of present-day New Mexico contributed to the American cause for independence from Great Britain. This aid—in the form of supplies, arms, and soldiers—played a key role in battles like those fought at Mobile and Pensacola. 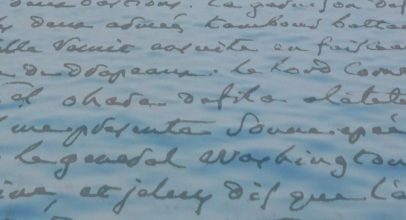 In Pesos and Patriots, arms, armor, artifacts, maps and other materials tell the stories of Albuquerque families who supported the American cause in the fight for independence and chronicle the importance of Spanish involvement in the Revolutionary War.